Twiggy. 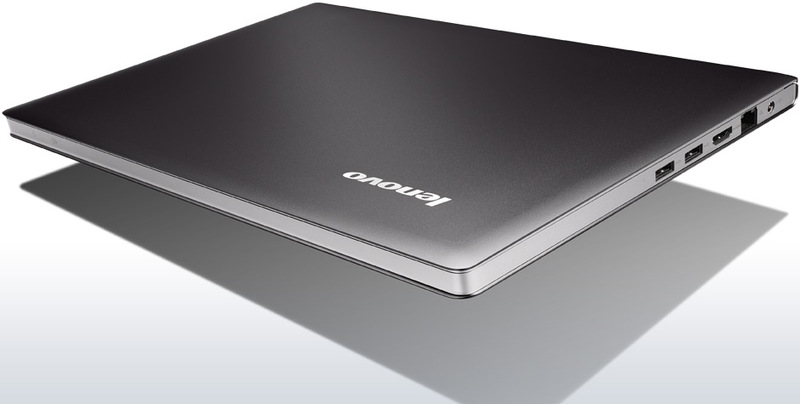 Following Acer and Asus, Lenovo now appears in the ring of UltraBooks with the next candidate. Low configuration and ULV hardware in an attractive packaging - is the IdeaPad U300s only to tempt us with its design or can it convince at second glance? There's no shortage of great looking Ultrabooks on the market, with the likes of the Toshiba Z830 and Asus ZenBook UX31 also vying for your attention. But there is something a bit different about the Lenovo U300s. It feels slightly less indulgent and takes itself a little more seriously, making it potentially more attractive to the business user. It's not perfect, with the reduced size keys on the keyboard being the main bugbear, but you are getting a solid, well designed Ultrabook at a very reasonable price. The U300s isn’t just available in a serious looking graphite grey, but a funky ‘clementine orange’ as well. For these people, choosing the slightly heavier and more expensive IdeaPad might be a bit of a leap, but for those who’re happy to own a Lenovo machine, and prefer the aesthetic appeal of the IdeaPad’s design, the U300s is a solid choice. Lenovo's IdeaPad U300s is a pretty decent Ultrabook on the surface. It has a nice all metal construction which many models lack and the keyboard and trackpad are some of the best available. The big problem is that Lenovo's pricing is trying to compete with Apple's MacBook Air 13 but fails to provide a compelling alternative. Performance and specification are decent, but the author found the keyboard too awkward for comfortable use. There are a few too many problems with the Lenovo Idea Pad U300s for us to recommend it, not least of which is the high price tag. Once again we have another excellent 13in Ultrabook entrant with just a few too many flaws to fully recommend it. 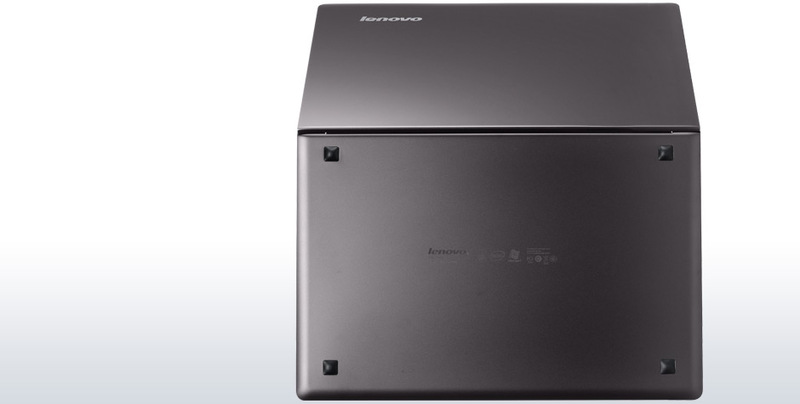 Nonetheless, Lenovo’s stylish and ergonomic IdeaPad U300s is a strong contender, and at under £900 in its Core i5 guise it’s our favourite budget choice – if you can live with its screen’s poor viewing angles, lack of keyboard backlighting and absent memory card reader. Lenovo also brings its A-game to the Ultrabook party. And well it should, since it’s asking almost $1,500 for the IdeaPad U300s. That’s premium, business-ultraportable price territory. It’s therefore apropos that the U300s has the most businessy aesthetic, although not at the sake of sleek design. 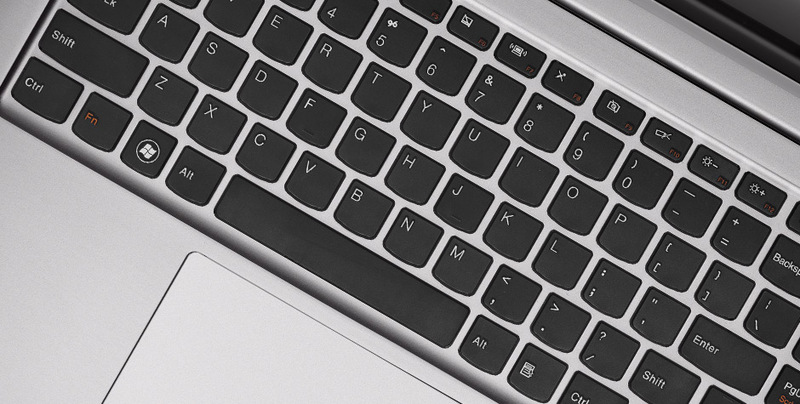 Like the Asus UX31E and the MacBook Air, the U300s is crafted from a single-sheet of aluminum. It eschews the wedge form factor established by Apple and instead uniquely mimics the lines of a hardbound book, with the top and bottom edges protruding slightly all the way around the perimeter, the way a book’s covers protrude past the pages. It makes for a distinct and pleasing silhouette. The Lenovo IdeaPad U300S is a good ultra-portable laptop, but as an ultrabook, it doesn't offer any compelling reasons to choose it over the competition. Despite our concerns about the touchpad, screen brightness and lack of business-oriented features, the IdeaPad U300S is our favourite Ultrabook yet thanks to its long battery life, good looks and reasonably good keyboard. Overall though, the 13in MacBook Air remains our preferred ultraportable thanks to its superior battery life, great keyboard and more thoughtful design. If you prefer Windows, the U300S is the best Ultrabook alternative to the MacBook Air available so far, but we suspect the real challengers to Apple's dominance will be the second generation of Ultrabooks based on the upcoming Intel Ivy Bridge range of processors. Hopefully by the time these processors are released, Ultrabook manufacturers will have had time to refine their designs and supply chains. The Lenovo IdeaPad U300S is a good ultra-portable laptop and the matte screen makes it ideal for working outside. However, if you’re looking for an Ultrabook to use as your main PC, it doesn’t offer any compelling reasons to choose it over the competition. It looks plain and unispiring, performance is disappointing despite being thicker and heavier than other Ultrabooks, and the keyboard and trackpad are still awkward to use. Lenovo’s ultrabook embodies many of the best aspects of this new notebook category, including a seriously thin design coupled with impressive performance. The design is singular instead of following the Air-clone crowd, with a Clementine Orange option that stands out. Still, the IdeaPad U300s excludes several features to keep the size and cost down, including some needed ports and a backlit keyboard. Even at that, it never reaches the sub-$1000 goal. This elegant looking ultrabook is among Intel's new wave of ultraportables that are meant to compete against Apple's Mac Book Air. 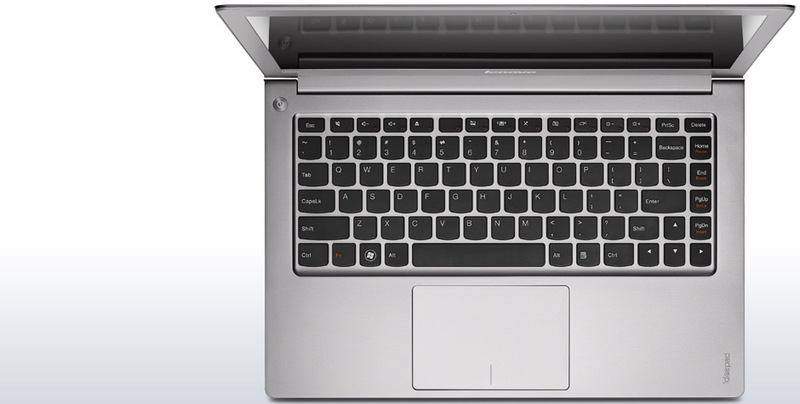 The IdeaPad U300s ultrabook comes with a distinctive new look, is very portable and has a good build quality. Its performance rivals that of the MacBook Air - the tech specs for both these units are almost identical - making it a worthwhile option to consider when buying a Windows-sporting ultraportable. 75.07%: This rating is not convincing. The laptop is evaluated below average, this is not really a recommendation for purchase.